The Elder Scrolls Online 3.0.6 is now available for download. The new update includes several fixes and improvements to Battlegrounds including long loading times, issues surrounding queuing, and more. The Elder Scrolls Online update 3.0.6 also includes several fixes involving the Halls of Fabrication and art-related issues. In addition, the Attribute and Skill point respec now costs back to normal. Check out the changelog below. Made several improvements to the Battleground queuing system to address long loading times or the inability to join a Battleground. Fixed an issue where you would need to press the Join Queue button multiple times when queuing for a Battleground. The Elder Scrolls Online update 3.0.6 fixed an issue where more than four players could be on a single team. Adjusted the inactivity timers in Battlegrounds to a two minute warning and three minutes for kicking. Previously, these times were set to 90 seconds for inactive and two minutes for the kick. This should help address the issue of getting unjustly penalized with the deserter debuff. Cyrodiil buffs, such as Keep bonuses, will no longer appear on your character while in a Battleground. Fixed an issue where three separate buff icons would appear on the Relic holder in a Capture the Flag match. Now, only a single buff icon will appear. Updated the help menu descriptions for several medals to indicate that they are repeatable. 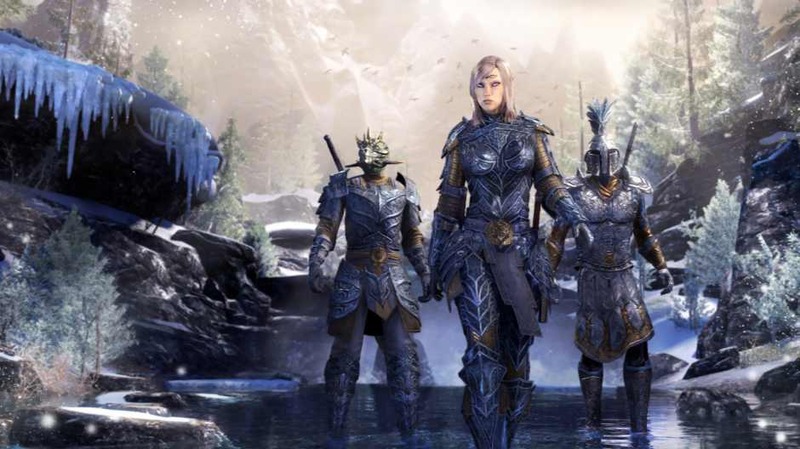 The Elder Scrolls Online update 3.0.6 fixed an issue where arms would be missing on characters wearing Ashlander armor. No need to be up in arms about this issue, t’was merely a flesh wound. Using the checkpoint portal after the Hunter-Killer Fabricants have been defeated, but while the Pinnacle Factotum is in combat, will no longer cause your camera to detach from your character. The Scalded effect will now be removed when the Pinnacle Factotum dies or resets. The Assembly General’s seeker missiles will now only display their impact effects to the player hit by the impact. Terminal Feedback now properly applies its damage all at once instead of sporadically based on the amount of Terminals still active. The Elder Scrolls Online update 3.0.6 fixed an issue where certain resource nodes found in Nchuleftingth and the Forgotten Wastes were respawning more quickly than intended. The front legs of the Dwemer Horse no longer clip into its body. Fixed an issue that temporarily prevented you from opening Crown Crates after completing the Morrowind tutorial. Note: This is the same issue where the game would say you were swimming when you weren’t. Mundus Stones can now be found in the Services category of the Housing Editor, instead of the Courtyard category. The Elder Scrolls Online update 3.0.6 size is approximately 125MB.